14 July 2017. A new enterprise is being formed to apply artificial intelligence to connect drugs in development to treatments for rare diseases and other unmet medical needs. The company, Qrative — pronounced CURE-a-tive — in Cambridge, Massachusetts is starting off with $8.3 million raised in its first venture funding round. Qrative is a joint venture of Mayo Clinic in Rochester, Minnesota and nference, a big data/biotechnology analytics business in Cambridge; the company name is spelled in all lower-case characters. The new business plans to employ nference’s artificial intelligence technology to discover treatments for unmet medical needs. The company expects to focus initially on rare disorders and diseases affecting highly target patient populations. 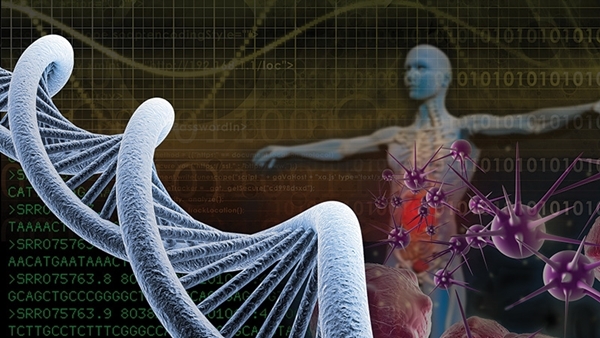 Qrative’s platform, called Darwin.ai uses neural network and deep learning tools from artificial intelligence developed by nference for what the company calls “drug purposing.” This process, says Qrative, synthesizes vast amounts of research literature, genomic and other molecular data sets, and published real-world evidence with data from Mayo Clinic’s anonymous electronic health records, prescription records, diagnostic results, and patient genomics findings. This data synthesis process is designed to find additional targets among rare diseases for the thousands of drugs currently in development. The company says only about 10 percent of the current 6,000 drugs being developed are reviewed for their potential against rare diseases. Drug repurposing is not uncommon, says Qrative, but that activity usually takes place late in the process and conducted sporadically. The company plans to begin evaluating treatments for rare diseases much earlier and more systematically than before. “The ingenuity of Qrativ is that it will combine clinical insight and clinical need from Mayo Clinic with robust informatics capabilities,” says co-founder Andrew Badley in a company statement. “By taking into account genomic predictors of both desired treatment response and unwanted toxicity, Qrativ will be able to identify potential drug candidates more swiftly.” Badley is Qrative’s chief medical officer, as well as director of the office of translation to practice at Mayo Clinic. Murali Aravamudan and Venky Soundararajan, who started nference, are also co-founders of Qrative. Aravamudan serves as the company’s CEO, while Soundararajan is its chief scientist. Qrative is raising $8.3 million in its first round of financing, with funds provided by Matrix Capital Management, Matrix Partners and Mayo Clinic. The clinic says it plans to use any returns on the investment to support its mission of patient care, education, and research.